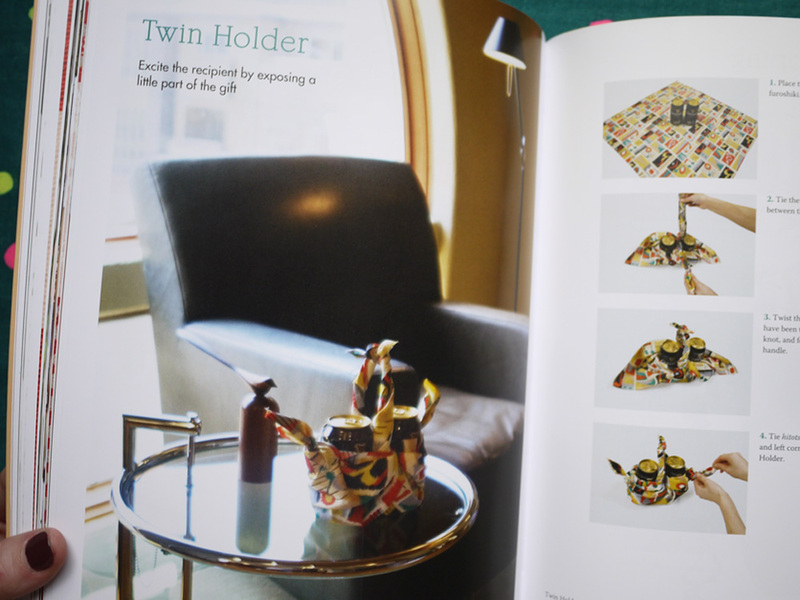 I am happy to share that Saké Puppets was featured in the recent issue of Homespun magazine! They sent me a sneak peek, and the issue is quite charming. Pop on over to their site to check it out. Thanks again, Homespun! Tuttle Publishing specializes in English-language books on Asia, and has produced some great translated craft books from Japan. Recently they asked if I was interested in looking at a couple. Yes, please! This might be the most Japanese thing I have ever seen. 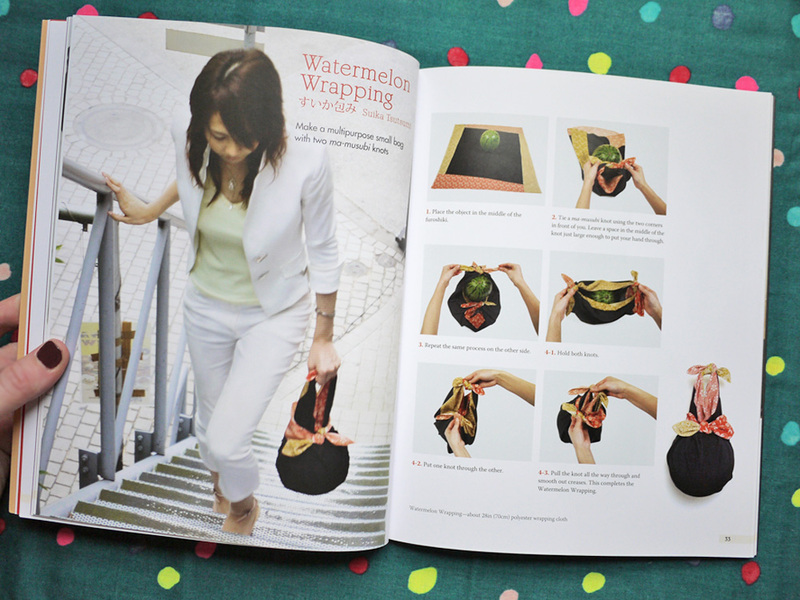 When you pay $100 for a watermelon, you better be sure it’s wrapped, y’all. I enjoyed this book a lot, and was eager to give one of the projects a spin. 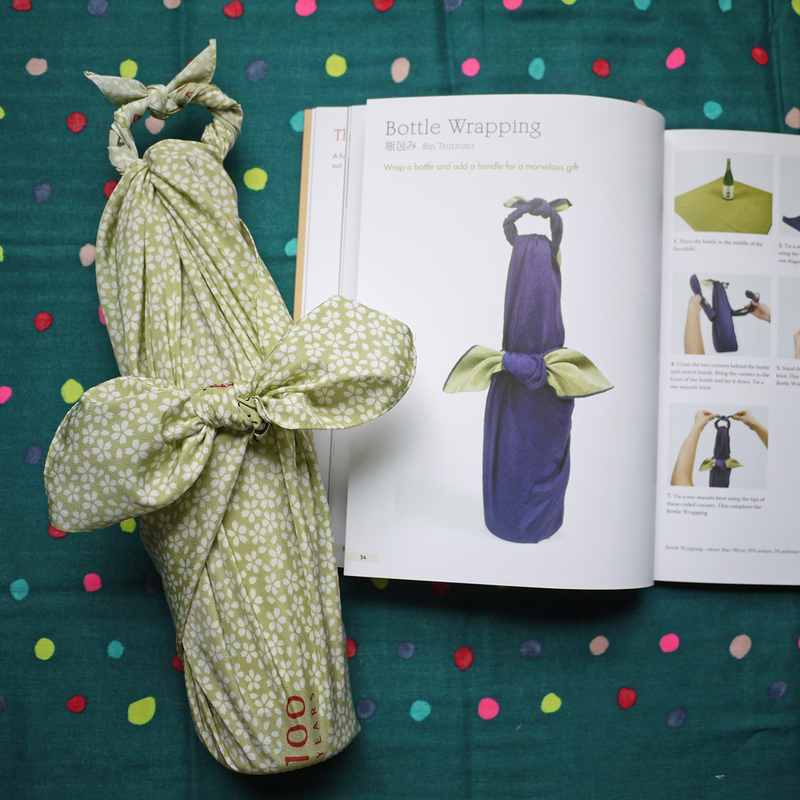 I started with the simple bottle gift wrap — because sometimes I give my hooch away and cheap wine looks much better with a classy wrap. Also, I was worried that my botched first-try wrap-job might send this bottle crashing into the street, so better to start slowly with a singlet. The result? Not bad! A little more chaotic than the book promises, but certain to wow any crowd of semi-tipsy pot-luckers. 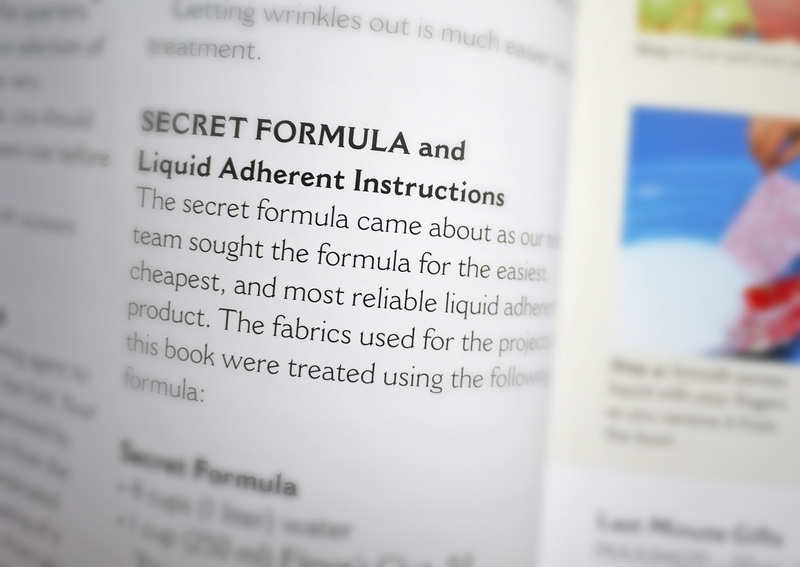 Not surprising, but the key to a successful fabric wrap is all in the fabric. Thankfully this is something the book covers generously. My trusty polyester Japan Society furoshiki was ideal — thin and smooth but not slippery like silk can be. 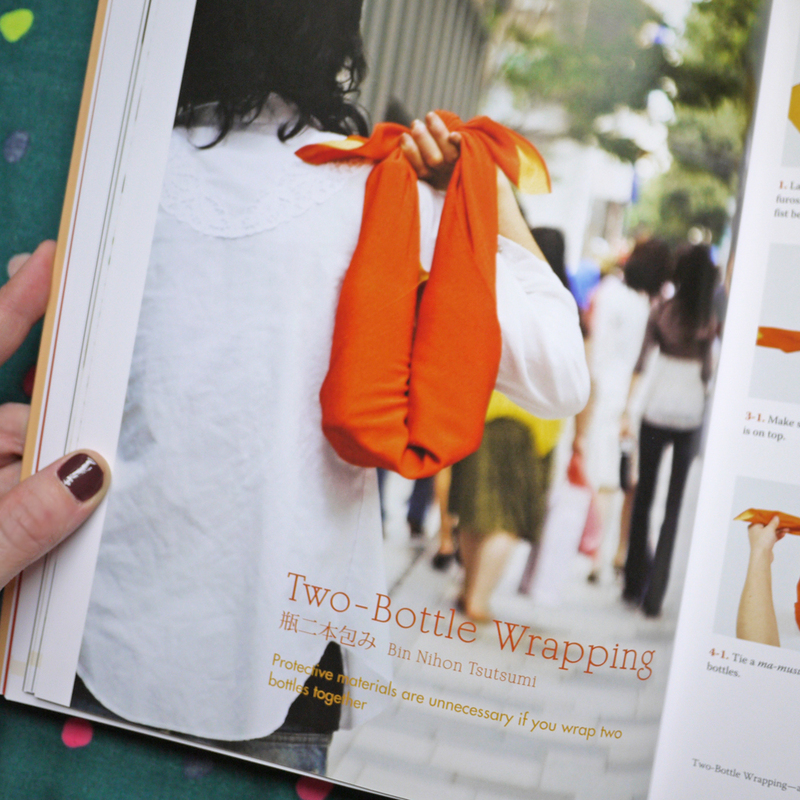 I also appreciated the book’s coverage of wrapping etiquette, tips that would have been useful while living in Japan. Apologies to all those I offended with backward knots. 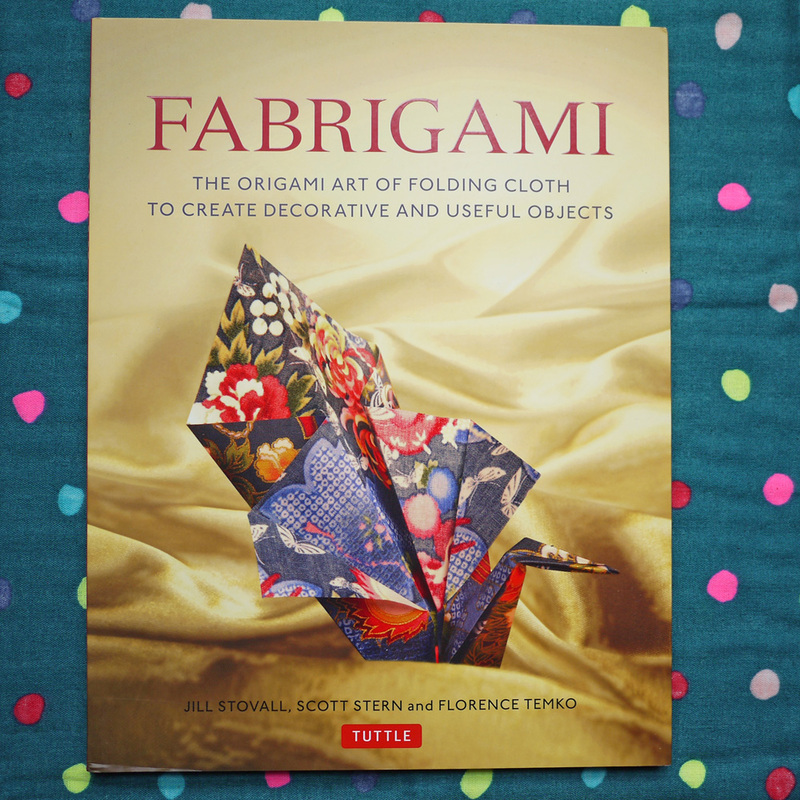 If you are looking to enhance your furoshiki game, this book is a good choice. Need supplies? I love the designs from Link Collective, who I met at an Etsy event in Tokyo. You can also embroider or sashiko simple cotton fabric using one of my patterns, available for download here. 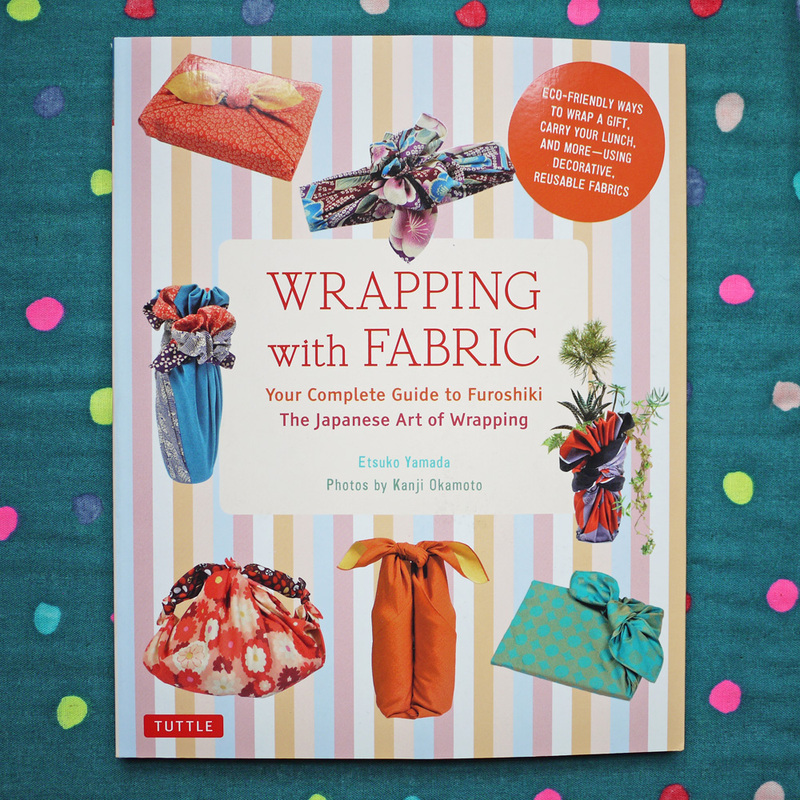 And lastly, you can find more information about Wrapping with Fabric on Tuttle’s website or on Amazon. Happy wrapping! 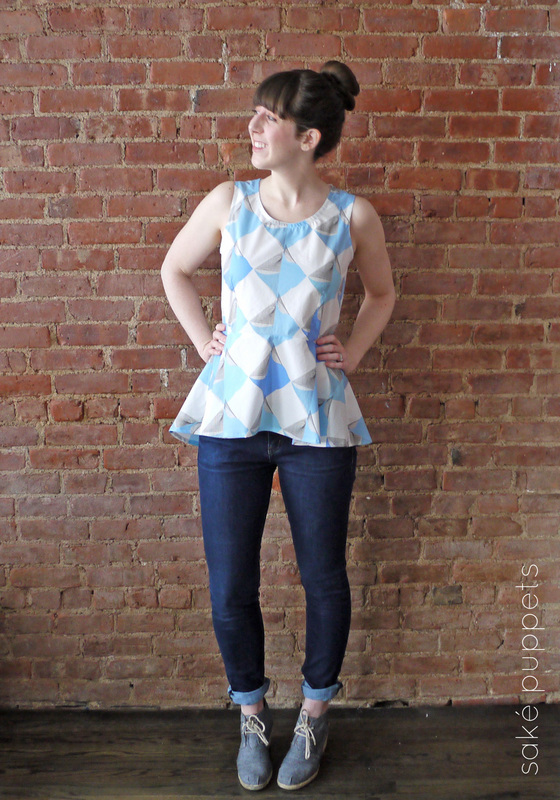 Click on over to check out my first post, the new Riding Peplum pattern by April Rhodes in JUBILEE cotton lawn. Whoosh! 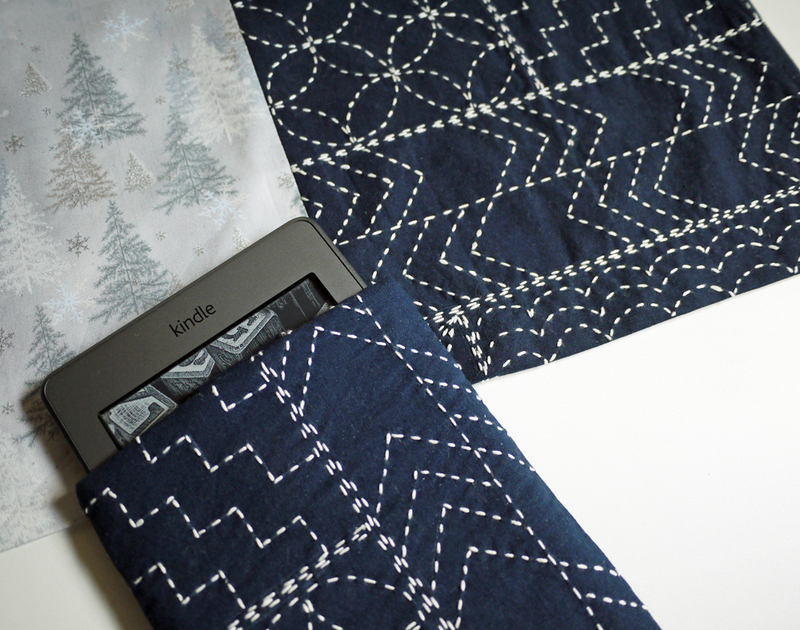 I also recently contributed a sashiko tutorial and coaster pattern to Kindred Stitches, a digital hand-craft magazine available on the Apple Newsstand. There are some very sweet projects included in the Japanese issue, so if you are interested, head on over to iTunes to check it out. This winter I am spending a lot of time with knitting needles. My grandmother, who taught me how to knit and indulged my love of crafts when I was young, passed away last month. Together we would make plastic canvas needlepoint houses and bake cookies until there was no more room for cookies or needlepoint houses. Right, like that ever happened. Over the past few years I have learned how I best handle grief. When I lose someone I care about I like to spend time alone, doing something I enjoy that also honors them. I take that time to reflect and try to focus on happy memories and it helps me feel close to them. So in the days leading up to her funeral, I channeled my energy into finishing the epic cowl I began knitting in November. 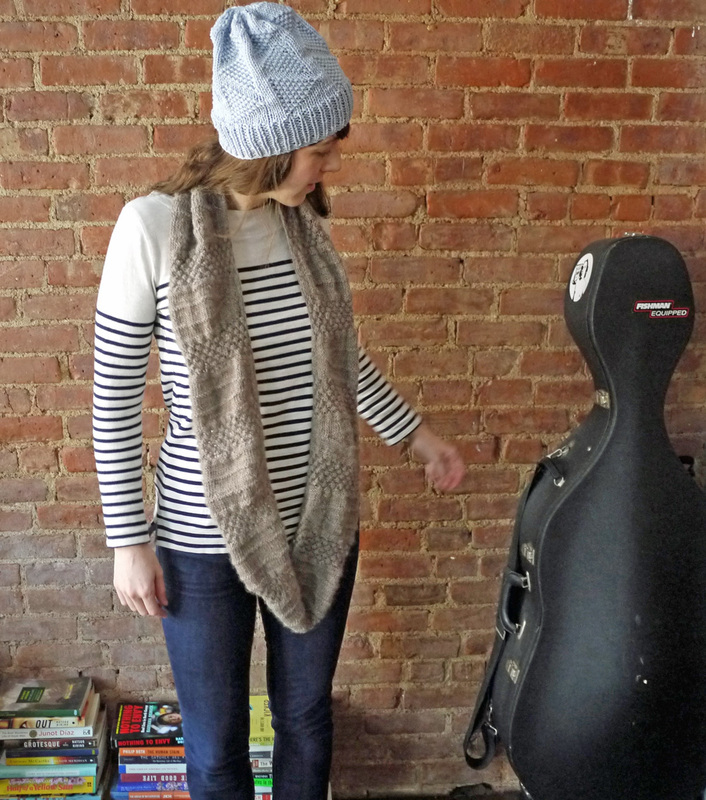 My grandmother stopped knitting years ago because of arthritis, but she loved to see what I was working on and was an avid follower of this blog. So I dropped everything, and I knit. The pattern is Empalme, which I purchased from the wonderful shop Yarn + Co when I was in Melbourne. I bought the yarn at Avril in Tokyo, carried it all with me to Brooklyn, and finished it in Minneapolis where my grandmother lived. The yarn is super soft 100% merino wool and varies in thickness, which gives the whole project a very natural, organic texture. My one note about this pattern, I probably did not have to knit all 13 repeats, since it turned out quite long. 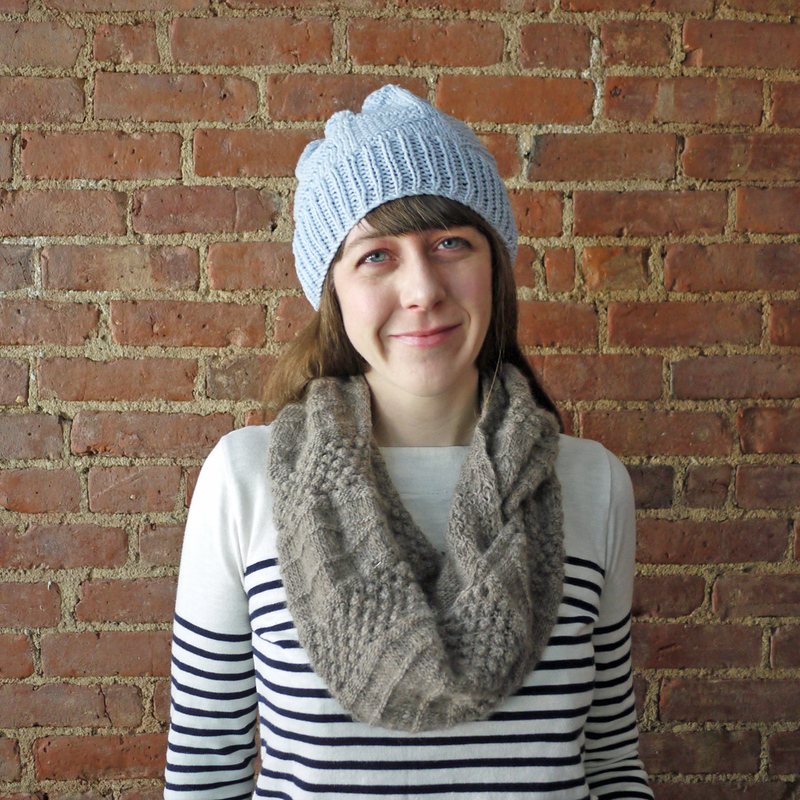 But it is incredibly soft and I love the pattern, and it is still the knitting project I’m proudest of to date. I got in the groove with my cowl and wasn’t ready to be done knitting, so I made a hat as a gift for a friend (first hat!) and then another for myself. The pattern is Dreiecke, made with stash yarn. This is the first time I have had stash yarn to use, and, it pretty much blew my mind. I had all the pieces I needed, and on a cold snowy night when the urge to knit struck, all I had to do was rummage around in my knit bin for my knit bits and get started. I now understand the urge to stash-build/yarn-hoard. Who needs the excitement of a new city to explore?! Olympics! Stash yarn! I’m set for winter, friends. 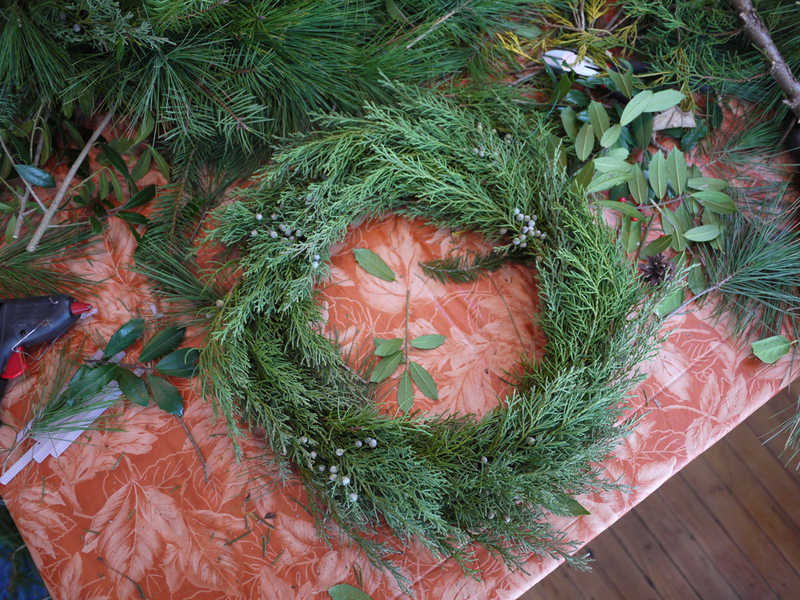 Handmade holidays with family: wreaths! The past weeks have been a whirlwind. Arriving in the US in time for Thanksgiving means we jumped head-first into holiday gatherings with family and friends, though I wouldn’t have wanted it any other way. I’ve been treated to a birthday dinner with a gigantic chocolate and peanut butter cake, a holiday play at my nephew’s elementary school, apartment-hunting in New York followed by lambrusco dinner parties, welcome-back cocktails, and brunches with friends, and even a quick trip to DC that resulted in a snowstorm and an extra 4 hours on a bus in New Jersey but because I had my knitting, I didn’t even mind. 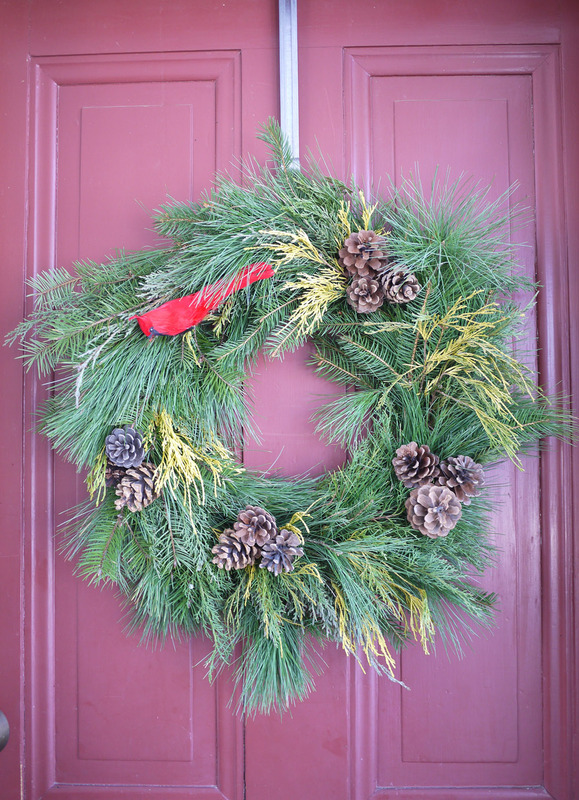 Recently my family started a holiday tradition of getting together for an annual wreath-making party, and I was excited to join them. 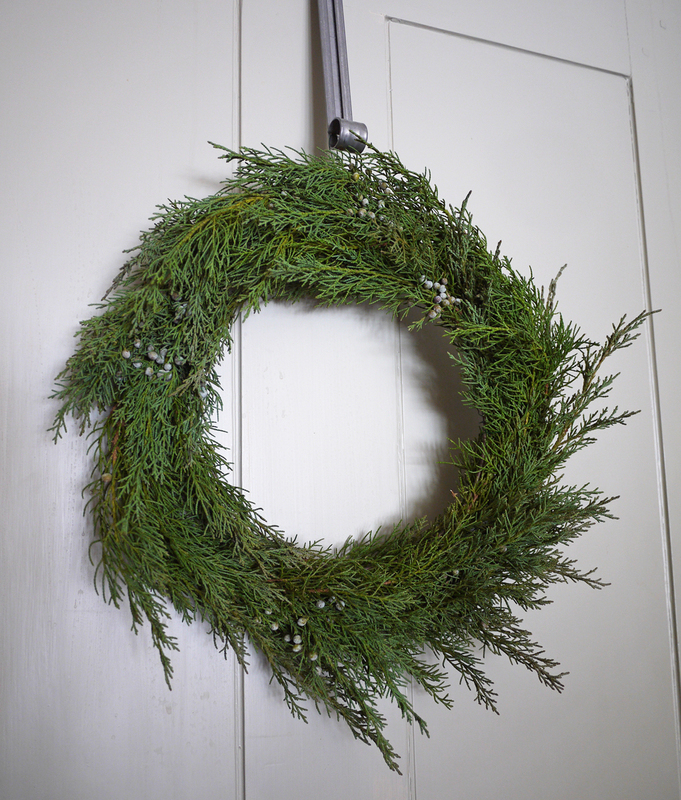 With metal frames from old store-bought wreaths now reused every year, we wired-in fresh greens from the yard. 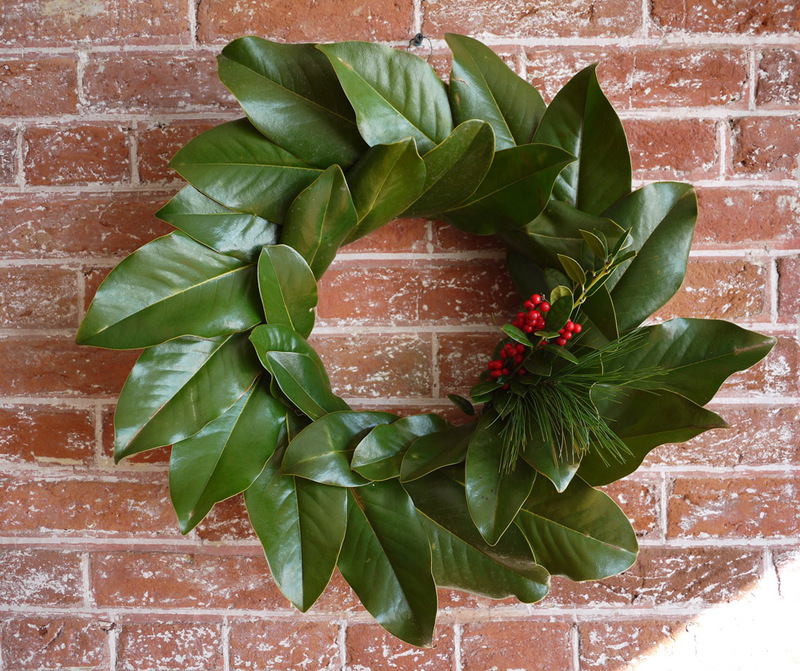 I was encouraged to just go for it — freeform wreaths! No rules DIY is my kind of DIY. 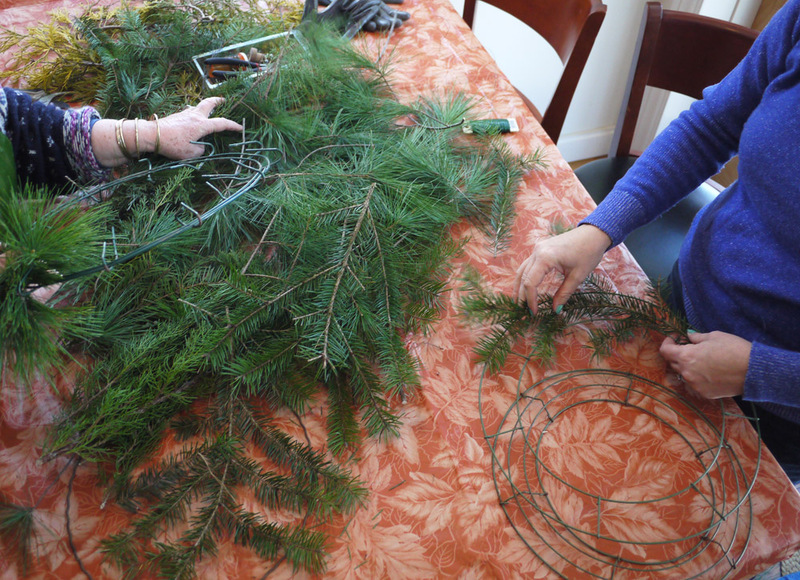 We snipped small bits of juniper, evergreen, holly and magnolia and wired them into clumps, wired them to our frames, and filled in as needed. Sometimes we put a bird on it. 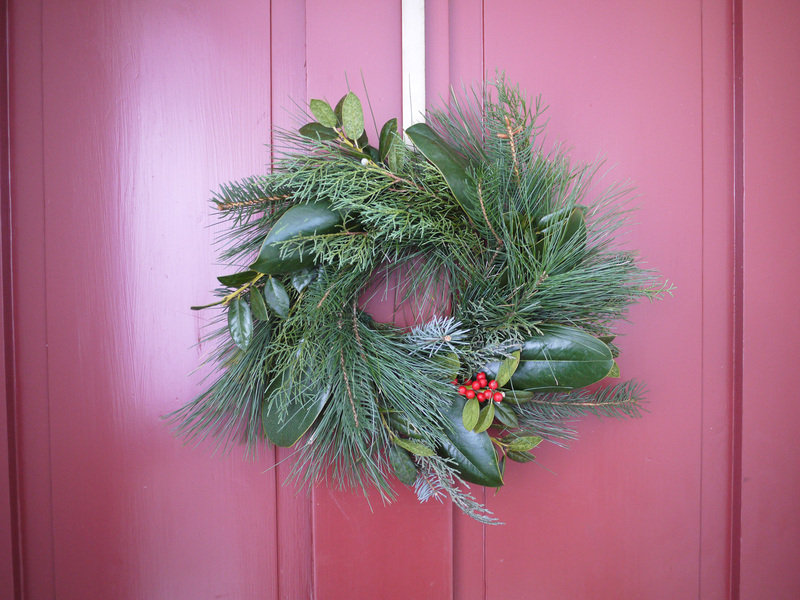 My wreaths look a little more wild and haphazard than the pros, who have been doing this for a few years now. But they were really easy and fun to make, and the room smelled amazing. And, they cost us nothing! What are you making for the holidays? I might graduate next to a swag, or maybe even a garland — it’s a handmade holiday party in here! 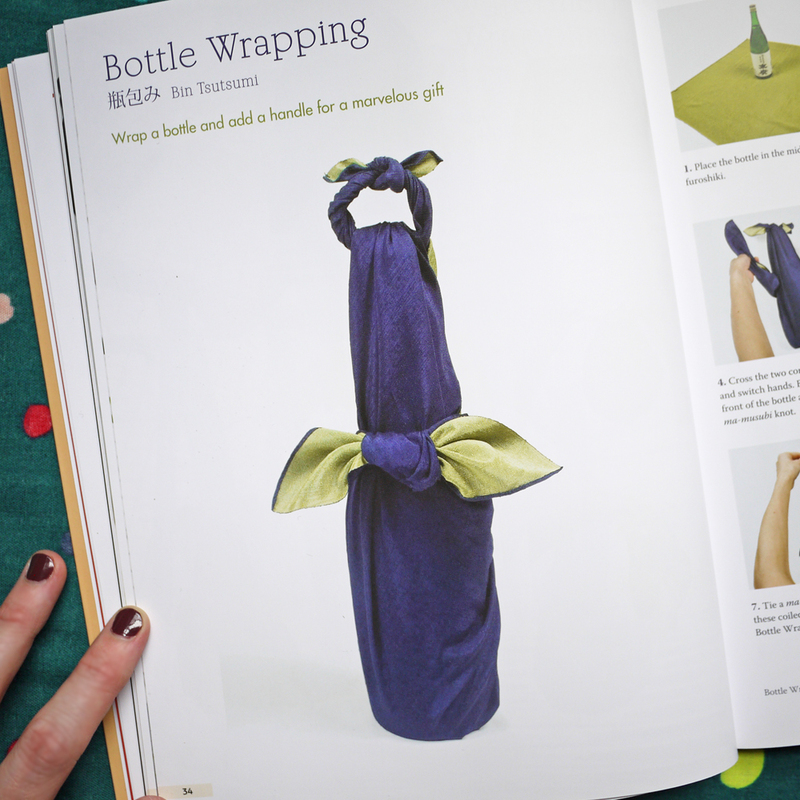 Handmade gift wrap ideas for the holidays – – – sashiko furoshiki! 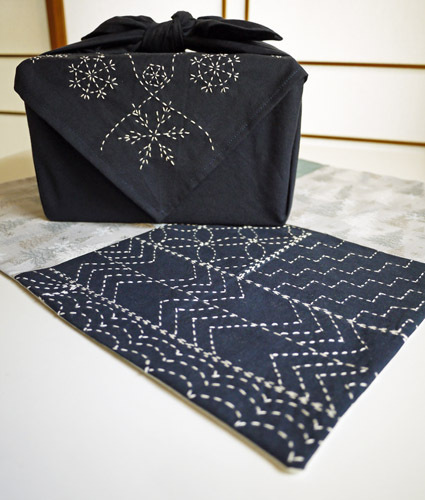 In the midst of the madness that is my overseas move, I decided to release two new sashiko patterns. Yessir! Inspired by Japan’s gift-giving culture, I made sashiko-embellished furoshiki for the holidays. 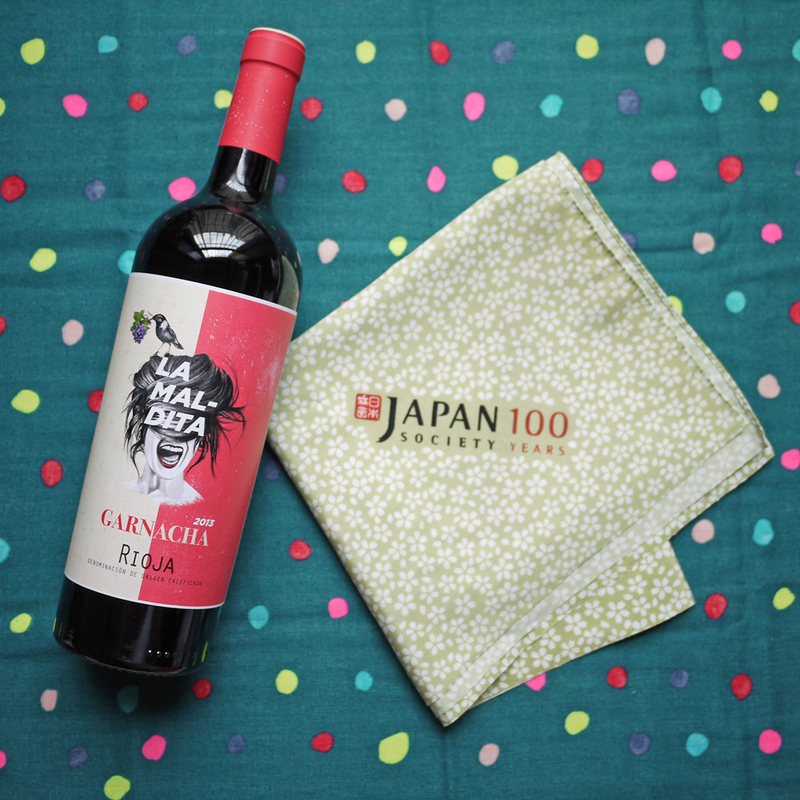 Furoshiki are cloths used for gift wrapping and they create lovely, elegant packages. The fanciest of gifts are always wrapped in furoshiki cloths. In addition, furoshiki are often considered a gift themselves, and can be used as tablecloths, scarves, or tied into handbags. 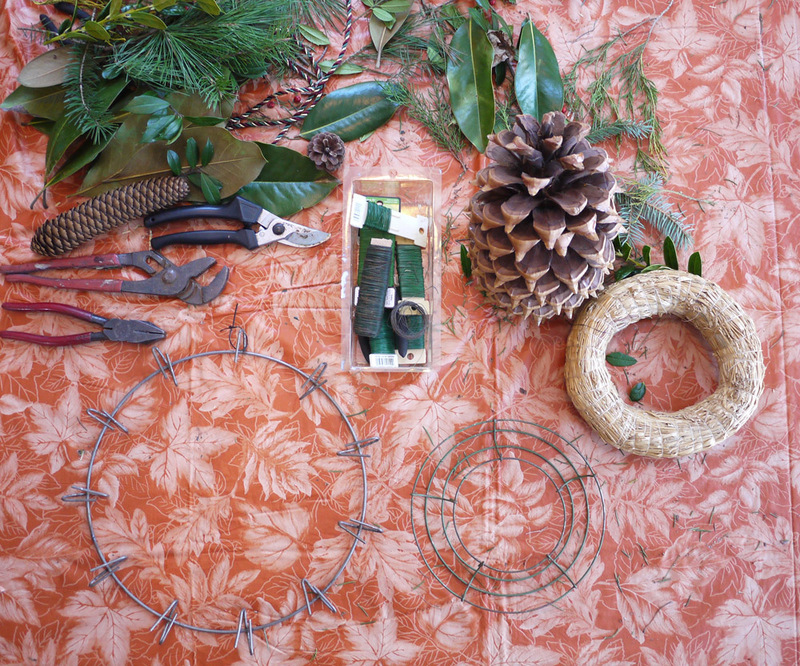 I have also been thinking about how to make holiday gift wrap more sustainable. From year to year my family tends to save and reuse ribbons and bags, so why not throw a few furoshiki in the mix as well? 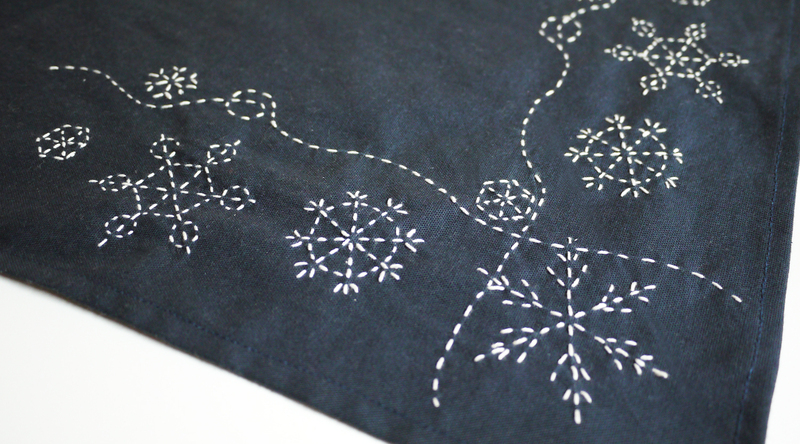 The first pattern was inspired by winter snowflakes, which I love to sashiko stitch onto indigo fabric because they evoke memories of quiet snow falling late at night. The pattern can be repeated to create a border design or fit into corners. The second pattern is a simple modern sampler. I originally created this design to use on iPad or tablet cases, but discovered it makes for a beautiful furoshiki as well. 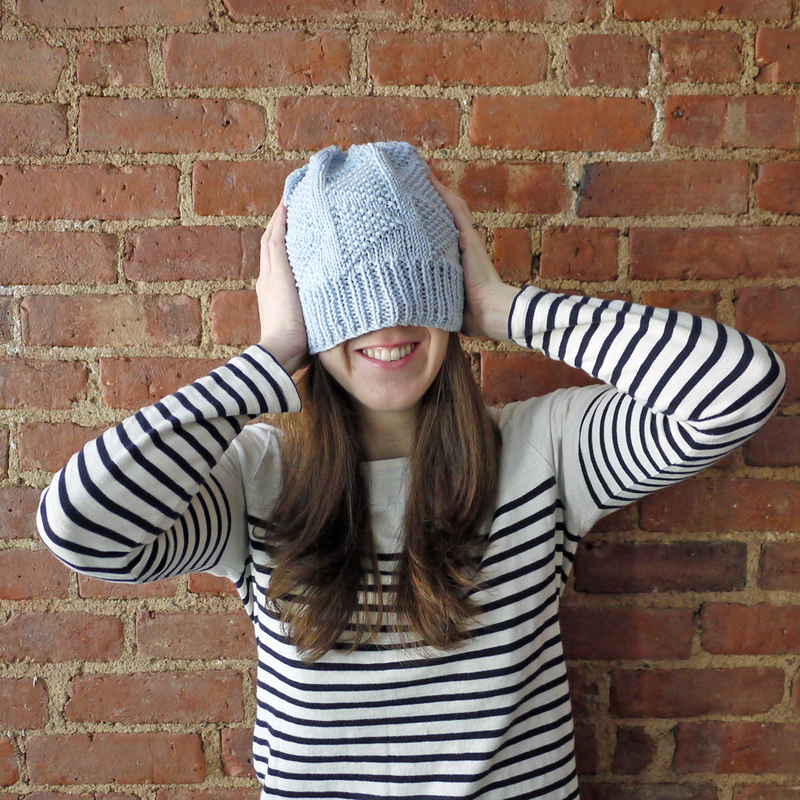 One of the wonderful things about sashiko patterns is that they can be embroidered anywhere! 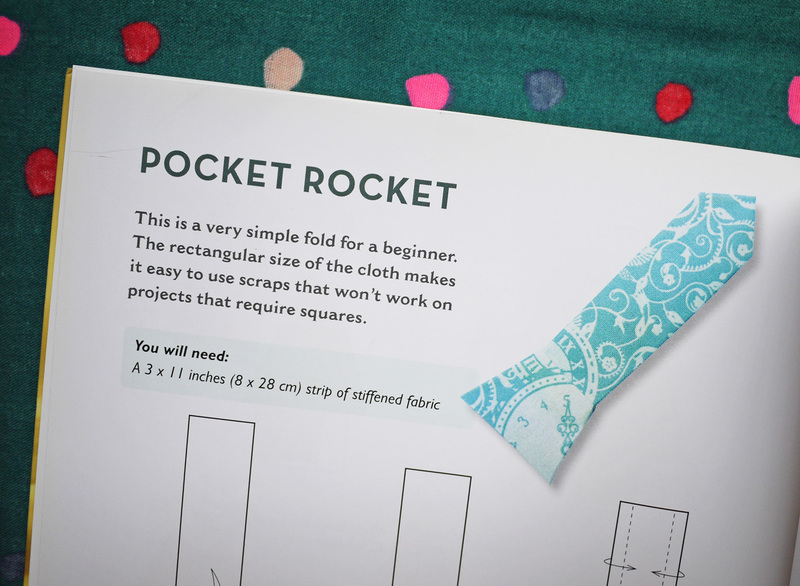 The pattern is a 25 cm square (9 7/8″) that can be sized up or down to your liking. Both patterns are available for download on Etsy, along with several other patterns that are also well-suited for furoshiki. 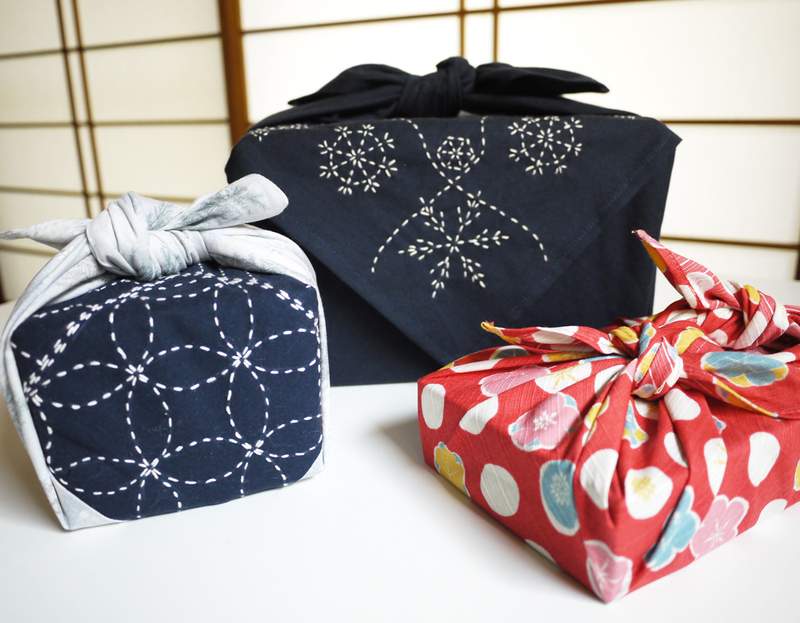 Check back here soon for tutorials on how to make and wrap furoshiki, and click over here for step-by-step instructions on how to embroider with sashiko.